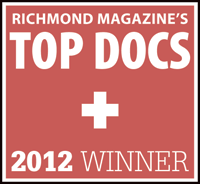 We welcome you as a patient to our podiatry practice in Richmond, Virginia. We are grateful that you have chosen us as the health care provider for your feet. Our doctor, medical assistant, and office personnel are all dedicated to providing our patients with the finest medical, surgical and rehabilitative treatments for the foot and ankle. Our growth in the community is a direct result of the caring and personal treatment we give our patients. Dr. James E. Shadbolt, DPM, FACFAS. Member of the American College of Foot and Ankle Surgeons and American Board of Pediatric Medicine.